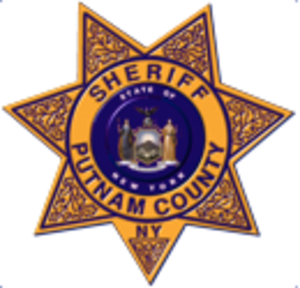 Putnam County Sheriff Robert L. Langley Jr. reports the arrest of a Danbury man for Driving While Intoxicated, Resisting Arrest, and Obstruction of Governmental Administration. On February 2, 2019, at approximately 2:35 a.m., Deputy Alex Ruhe observed a vehicle stopped, with its engine running, near the intersection of State Route 312 and Independent Way, in the Town of Southeast. Upon Closer inspection, Deputy Ruhe observed that the vehicle’s driver was asleep at the wheel. Subsequent investigation revealed that the vehicle’s driver, Jesse Bass, age 27, of Danbury, was intoxicated. Mr. Bass at first refused to follow commands and attempted to drive away, but was eventually taken into custody. Mr. Bass was transported to the Putnam County Correctional Facility for arrest processing. Mr. Bass was processed and charged with Driving While Intoxicated (Misdemeanor), Driving with Blood Alcohol Content of .08 or more (Misdemeanor), Resisting Arrest (Misdemeanor), and Obstruction of Governmental Administration in the Second Degree (Misdemeanor). Mr. Bass was arraigned by the Honorable Justice Gregory Folchetti of the Town of Southeast Justice Court where he was released on his own recognizance, pending a future court appearance in the Town of Southeast Justice Court.